10 years since I started my blog in 2009. I know it has been a very very VERY long time since the last time I posted here on my blog. If you follow me on my other social media pages, you probably already follow some of my life adventure. This page is dear to me because I started n 2009 with my journey dealing with Fibroids: My frustration, my surgery etc. In 2009, things were much different. 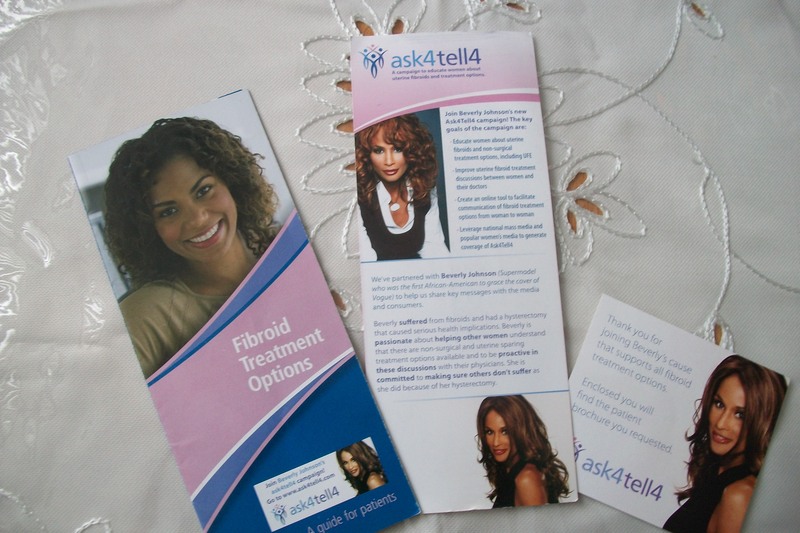 There were barely any information about fibroids. All you read was stats and hysterectomies, no pictures or videos, it was very taboo to even talk about. I always refused to accept either or because I knew that I wanted a child, my instinct was telling me that I am not a statistic and I am not having a hysterectomy. I am still not with child but I do have a better understanding of what it is and what happened. I would like to give a big thanks to the people around the world who have written to me in the last decade, even until now, who have dealt with the same situation, we are still getting the word out on Fibroids, PCOS, ENDOMETRIOSIS, Ovarian Cysts, and all the other sickness related to our Uterus. I recently had to go to another surgery. This time, it was a laparatomy myomectomy. I will give more details on my next blog post. I also had to work a lot on myself and I didn’t want to repeat myself and also I wanted to make sure that I was in a stable position in my life before starting again. I am so thankful that I am in a better position, mentally and physically. I am still learning about myself and about what I have to do for myself first. I am thankful that you can still read me today. I have so much to share. This year is all about continuing my journey with a better understanting of myself. I am very blessed. I see things much differently and for once, I do not have the winter blues (I was almost about to wait until spring to restart writting). We are in the middle of winter, today we are having another snowstorm, but I am happy. I will write much more and I hope you will join me in my universe. A lot of you did wrote to me throughout the years, have you been able to cure yourself from the fibroids or any other problem of the kind? I would love to read you all. In proper term: How are you doing? FIBROIDS, LIFE AFTER 3 YEARS!! How do you deal with? It has been a very long time since I have posted anything, I was away as I was reorganising my whole life, if I can say it like that. For my fibroids, I have another appointment this June to find out if my fibroids grew. Lately I had more health issues, my thyroids glands have been abnormal (white blood vessels test results lower than normal). I have not been able to loose weight for more than a year. So far, I have not been prescribed any medications, but I still have to do more tests before they are sure that the problem is really hypothyroidism. For my fibroids, I am on and off with chicken and Turkey, but I do eat MUCH less of those than before. I have started taking my hemp oil again morning and nights and it does help, especially when I have my periods which is back to almost as heavy as they were before, but not for the same lengh (5-6 days, compared to 7 to 10 days before). I read and receive a lot of emails from you all, and I am so thankful because I know I am not the only one going through it… Especially I have 3 fibroids that came back and I am staying as positive as possible. A reader wrote a comment on my Hemp Oil to cure fibroids (Isis) and she wrote that if it comes back, sometimes you have to change your environment, and I was thinking a lot about that and it made sense. I am making a lot of “LIFE CLEAN UP”, I am taking more and more into consideration who I am letting in my life, what I eat etc, because a lot of sickness we have is due to stress that we endure for too long sometimes, and I want to have a better and healthier life with myself. So my question to those who already had a surgery, could be Myommectomy, Hysterectomy, Laparoscopy etc… How did you cope with the POST-surgery? Let’s discuss in the comments below, the more we share, the better. Fibroids & Anemia…. Because of Stress?? So I have been trying to lose weight recently. I am just not in shape like I would like to. Some people when they see me think I look good, but I know personally I just don’t feel quite right. I have been trying to research around Youtube about weight loss, Fibroids and Anemia and basically I fell into a few videos, but this one in particular caught my attention. That last video really REALLY opened my eyes. Tomorrow I will go to the food stand and get a full watermelon, also I will drink green tea in the morning,, drink a bottle of water a day and no fry food at all, and, I will exercise intensively for 30 minutes 3 times a day. I will do that experiment for about a month. I had stopped drinking alcohol since last december so that is good. We will see if there is any improvement. I will show you before and after pictures to show. As for the fibroids, the first video really made sense to me. And I did let a lot of stress get to me, maybe that is why the fibroids came back, and my anemia is still present. Stress is a number 1 “mental” killer, imagine if you had no stress, happiness everyday, I am pretty sure it could help out getting through certain sicknesses as cancers and other things. This last video I have found and I really like is about stress management. It starts with a smile. Even when people are unhappy, don’t let it affect you. Smile and if you are spiritual like me, thank the Lord because you are able to breathe, or walk, or sing, or dance, or whatever makes you happy. As an exercise, we should all take 30 minutes and close our eyes, no sleeping, just close your eyes and think about what makes you happy, there must be at least ONE thing that made your day today. If it was staying in bed all day, then good, if it was buying groceries, then great!! I will give other development in about a month from now to show you the result. 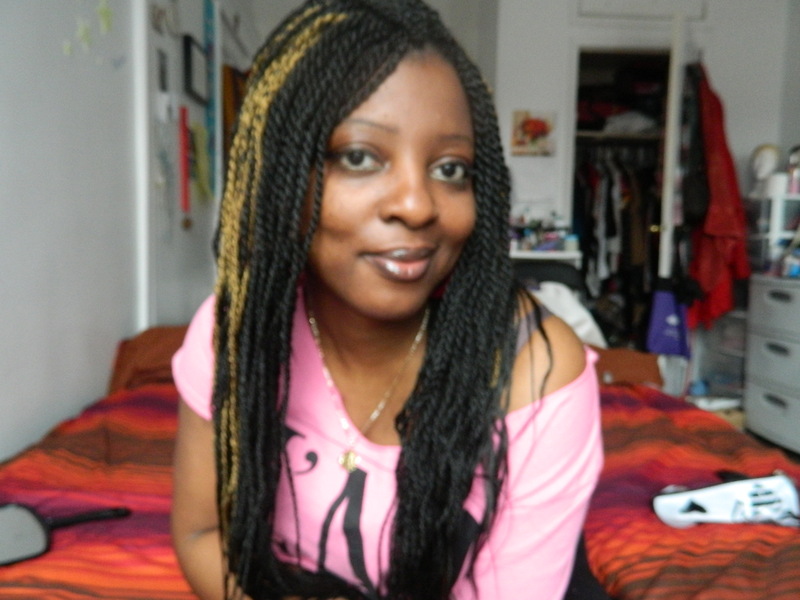 I was Diagnosed with Fibroids …. AGAIN!!! Last December was my 2 year anniversary post-surgery since I had my fibroids. I went to see my doctor for follow-up… and guess what??? My Ob-Gyn found 3 new tiny fibroids!!!!!!! Ok he told me they are outside, but still??? I am more than in shock but at the same time, he told me after my surgery in 2009 that they might come back… and they did. He said until I decided not to have kids, they can reoccur again.. so by the beginning of the summer, I will have to see him again to do another scan to see if they have grown. I am not hopeless but I really am praying NOT to have that surgery again… Unless I have a C-Section to have a baby if necessary. I trully believe that now I have to constantly watch what I eat and I have to start doing Yoga and Pilates. I haven’t done a lot of crunches like I should. I believe that I will be fine, even though I don’t have that flat stomach yet (I trully had a hard time keeping a flat stomach since my first fibroids story). I am also happy to see that now more and more information, commercials, even some TV Shows like Dr. Oz and The Doctors are talking and giving informations about Uterine Fibroids, and no, it is not only for older women now, if affects all ladies and young women as well. I believe Everything happens for a reason and I believe in embracing the journey all the way until you reach your happy ending. I still remember this day (November 30th) a year ago. When I woke up at 5 in the morning, the trip to the hospital with my mom and my brother, me not being afraid until I laid on the operating table and saw all of the tools that were being disinfected. Physically, it took longer because the abdominal area is the core of the body, very fragile. To remind everyone, I had 13 uterine fibroids & 2 cysts in each ovaries and went through Myomectomy Surgery. I tried diets, but it only made things worse. I had to mentally accept my body the way it is for now and not worry about it. I still take my iron supplements, my periods are went down to 4-5 days (I am saving so much on pads now). Running helps a lot, not only on my body, but also mentally. I do crunches but not everyday, but I do a LOT of stretching because I feel the blood needs to run properly. I do miss dancing on stage (an ex-professional step-dancer)… A LOT!!! In a few weeks I will have my doctor’s appointment post 1 year surgery. I do feel good. I still have anemia though. Today I was watching The Fran Drescher Tawk Show and her topic was “Turn Pain Into Purpose”. She had Rosie O’ Donnell has Skype guest and they talked about how they were both diagnosed with Uterine Cancer, how they won the battle and what positive outcome that came out of it. One of the “ugly package” was being diagnosed with Uterine Fibroids, that slowed me down on the Entertainment Industry. But as I was researching the Internet last year, there was very few links, stories or anything about it. I made it a duty of mine to do blogs about it and that maybe it will reach at least one woman who’s going through thee same thing. Today I have over 7 000 people who visited my blog page, some had comments, sent me emails, etc and it became a purpose to continue informing everyone through my journey. It is far from over, stress is part of my everyday, but I am coping with it much better now as I now know that it is a “cancer” friend. I am no doctor, nurse or anything in the medical field. I am a woman who has decided to share her story. I’m a singer-songwriter who still work for her success in her everyday life. I would like to thank you. Share your story with me I would love to read your stories. You know my instinct told me not to listen.. I tried to find inspiration, motivation and I fell into RareEbony‘s video on Youtube and she really inspired me to find better solution to what I had which was, like she would say, a silent sickness. The videos were made in 2008 and when I found out this year, she was still looking for solutions. Why do I chose her? Because I felt like her, like the doctor didn’t gave me any other options, like I was in shock and she motivated me to speak about it, that is the only way you can get the right help. She really inspired me to learn more about what was happening with me. I kind of became obsessed. I stop eating pork right there, less carbs, less meat, more salads, more exercises, less alcohol, much more sleep, bigger connection with God, etc… As people started noticing, I was less noticeable in music events this year that I did in 2k8. Health became a prior part of my life. I spent much more time relaxing and slowing my pace a bit. It was hard but kept a positive attitude about it. And again, I kind of push back a lot of negative vibes around me, and it made a huuuuggge difference. 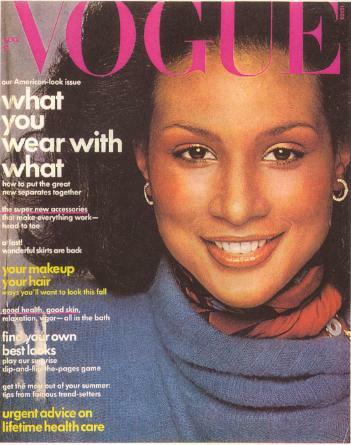 Another video, that one with Beverly Johnson, the first African-American supermodel who was on the cover of Vogue spoke about her personal experience with Uterine Fibroids. 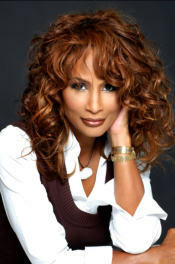 Beverly Johnson also started a foundation ASK4TELL4, where she speaks about the Uterine Fibroids and is very concerned about women to get information about it, especially African-American women. The more you know, the better you’re informed and the quicker you can do something about it with the right doctors. Hopefully I am doing my part by speaking about it and not letting this issue put to bed. Comment me or you can tell your own story here as well. Thank you for reading me.